This year, Green Light partnered with HandsOn New Orleans, SOUL, and NOLA Tree Project to host hundreds of volunteers from Ben and Jerry’s. Yes, the Ben and Jerry’s(! ), and they certainly did not disappoint! 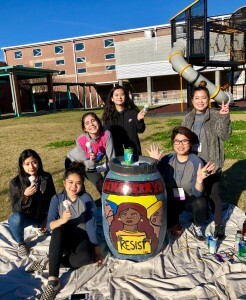 We had about 140 volunteers partner with Green Light, working together to clean, sand, prime, and base coat sixty rain barrels! 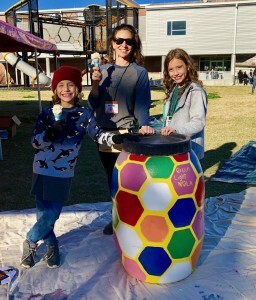 This hugely furthers our rain barrel program because we have all these barrels just ready and waiting to be decorated by artists so they can be installed into the community. This allows us to reach many more homes much more efficiently. 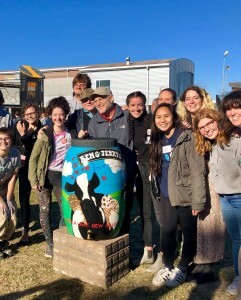 Not only did the Ben and Jerry’s volunteers and their families help prepare barrels, we had about 20 artists who painted 15 extraordinarily creative barrels. In just the two weeks after the event- these barrels have been highly sought after by our rain barrel program recipients. If you check out some of the pictures, you’ll quickly understand why. 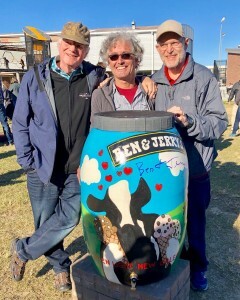 In addition to the incredible barrels produced that day, our team got a chance to meet and talk to the Ben and Jerry. They along with all of their volunteers had such a positivity and were clearly passionate about sustainable practices and how they could do their part to give back. As a celebration of their organization’s service that day they even provided a free ice cream truck for everyone who had participated in the event. So from the bottom of our hearts and ice cream filled stomachs, we at Green Light truly appreciate all of their hard work!